The global business environment has been changing dramatically over the last few years. The impact of this has been a complete transformation of business itself, all kinds of business, and the kind of careers it demands. E-Business, earlier thought of as just buying and selling using the Internet, has become an undeniable reality with applications for all kinds of businesses from banking to human resource optimization, from manufacturing to sales, from medical fields to logistic management, from environmental monitoring to environmental management, and from transforming education to creating new forms of government administration (e-Government). A bank CEO today, for example, can monitor his bank’s performance in real time by implementing technologies based on E-Business. A strategically thinking manager then can use the same infrastructure, or enhance it with compatible technology innovations, to provide a host of services to customers that the bank’s competitors never thought of, thus creating completely new revenue streams for the bank. E-Government applications in countries such as Japan, Korea and Singapore are allowing those countries to provide unprecedented services to the general public. While the potential of E-Business is literally unlimited, the success of any E-Business initiative depends on strategies and its integration and alignment with overall business or social objectives. In our program, “E-Business” means all kinds of IT technologies, along with Internet, Mobile, and other ubiquitous connectivity innovations, that can be used to create business value or social value. This warrants the need for professionally trained managers in E-Business, who understand traditional business processes, the convergence of Technology and Business, new innovations in technology, and who can help new and existing businesses to seamlessly integrate E-Business and technology initiatives to create value. This ability to create value is what we teach in this program! GSIM is dedicated to developing “wise” (i.e., socially responsible) individuals for global business and social leadership, with an emphasis on serving the emerging countries. E-Biz, by design, allows students to focus with a career in mind in one year! Empower yourself with IT management skills in one year to challenge a new career or get promoted. Be it in Manufacturing, Banking, Utility, Service, Accounting, Logistic, Finance, Human Resource, or Management, the program develops managers who understand how technology can help to add value to that business. Meet recruiters from top corporations brought in by the IUJ Career Office and find a new career. Our E-Biz program is not just about the Internet. It is about using technology, including the Internet, Mobile Communications and ubiquitous connectivity innovations to enhance and create businesses. Recently upgraded E-Lab include a high-tech game development center. 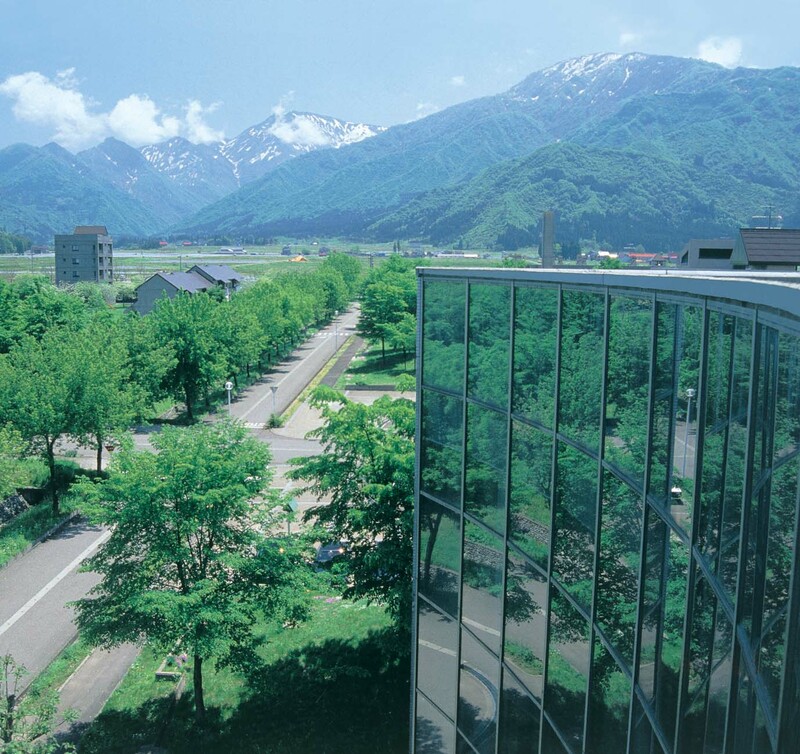 IUJ was the first Business school in Japan to offer an E-Business Management Program. World-class faculty with wide business and practical experience; Hi-tech E-Lab. A flexible career-oriented curriculum offered in English. Excellent Japanese and English language programs. You can enhance your learning by attending a top exchange partner program in the US, Europe, or Asia.